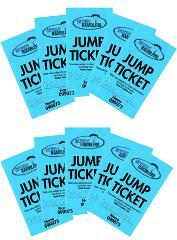 4 to 9 Jump Tickets for licenced Skydivers at Toogoolawah to 14'000 feet. 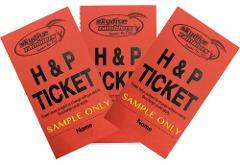 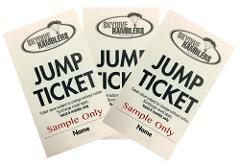 10 to 49 Jump Tickets for licenced Skydivers (14'000 feet). 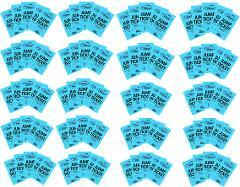 Save $5 per ticket . 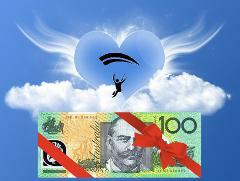 Coaching Tickets with Video for licenced Skydivers at Toogoolawah (14'000 feet). 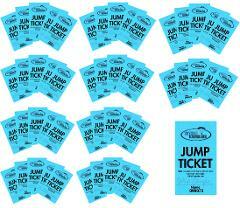 Coaching Tickets cover Coach & their slot, full brief and video debrief of jump, plus dub a copy of the jump to your video. 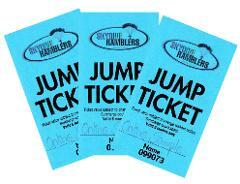 Night Jump Ticket (12'000 feet) for licenced Skydivers at Toogoolawah.